mommy's reviews: Don't Forget About Daylight Savings Time!! 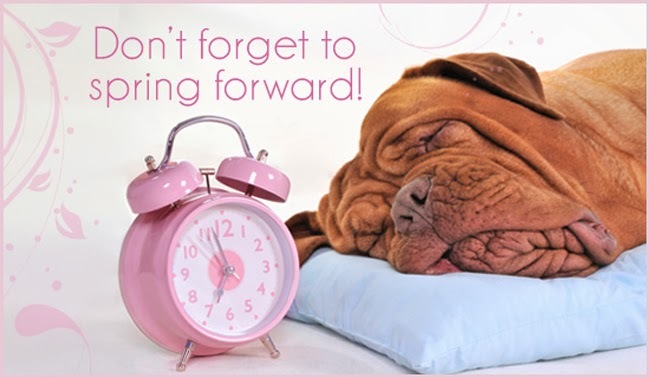 Just popping in real quick to remind you all that tomorrow is Daylight Savings Time so be sure you SPRING all your clocks AHEAD! We are adjusting our tonight...so mad about losing an hour of sleep though. Grrr.